As a sportswriter, Frank Bascombe makes his living studying people--men, mostly--who live entirely within themselves. This is a condition that Frank himself aspires to. But at thirty-eight, he suffers from incurable dreaminess, occasional pounding of the heart, and the not-too-distant losses of a career, a son, and a marriage. In the course of the Easter week in which Ford's moving novel transpires, Bascombe will end up losing the remnants of his familiar life, though with his spirits soaring. 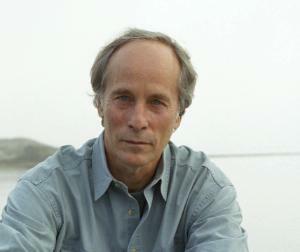 Richard Ford (born February 16, 1944) is an American novelist and short story writer. His best-known works are the novel The Sportswriter and its sequels, Independence Day, The Lay of the Land and Let Me Be Frank with You as well as the short story collection Rock Springs, which contains several widely anthologized stories.